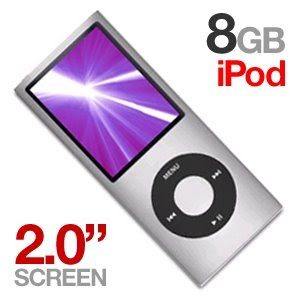 There's another good ShopDebtFree giveaway this week -- a silver 8GB iPod Nano from TigerDirect.com. To enter, simply go to the Debt Free Mall blog and leave a comment naming their favorite summer song. The contest closes Thursday, June 11 at 1 PM EST and one lucky winner will be chosen at random. The songs will be posted on Twitter via @shopdebtfree and a list of the Top 10 Summer Songs will be featured on the Debt Free Mall blog Friday, June 12.